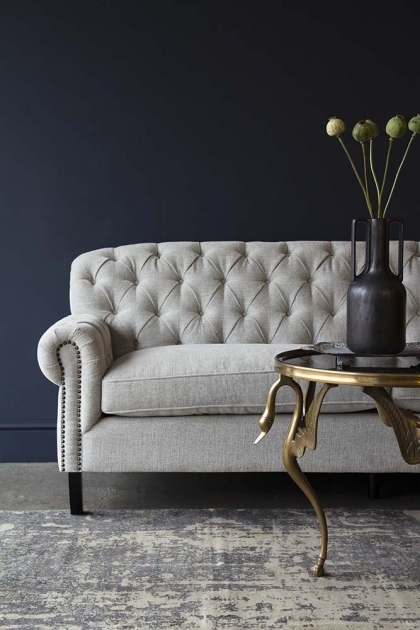 The epitome of statement furniture - we love the Soft Grey Modern Chesterfield Sofa! 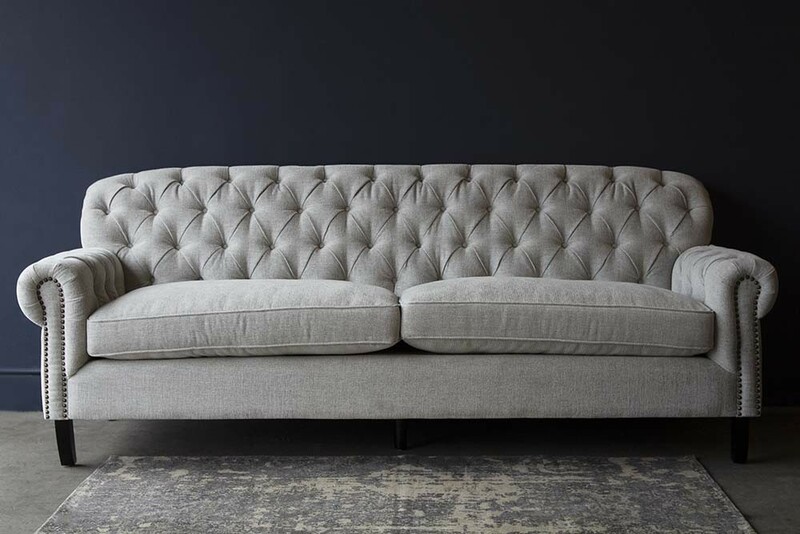 A sofa that will comfortably fit two to three people the timeless Chesterfield Sofa is a unique furniture piece that you will treasure. 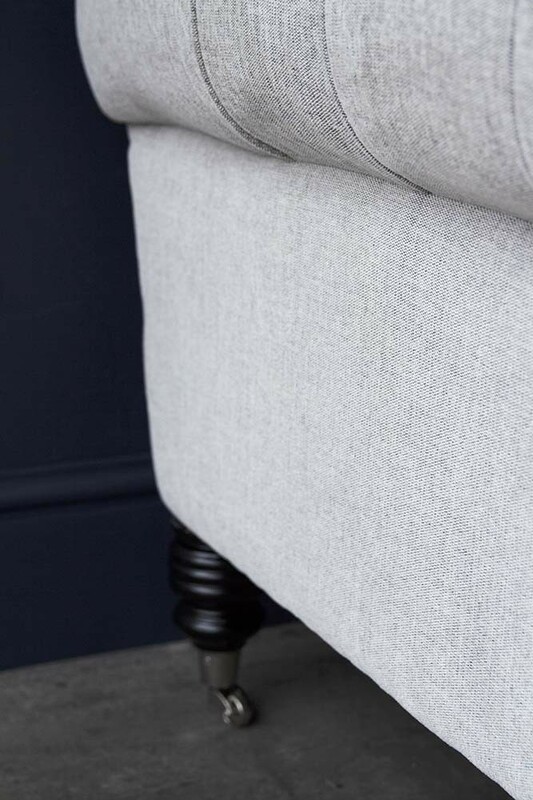 A smart, sophisticated and versatile sofa choice, the one-of-a-kind Soft Grey Modern Chesterfield Sofa is perfect for large hallways, sitting rooms, kitchens and bedrooms. 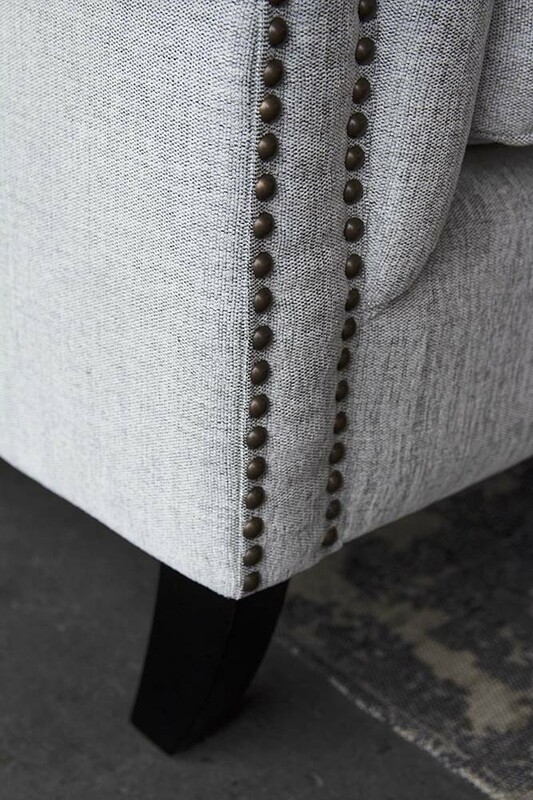 Upholstered in luxury grey fabric with a chesterfield button back, the signature scroll arms, silver studded detailing and raised black wooden legs making the Soft Grey Modern Chesterfield Sofa is the perfect sophisticated sofa that will demand the eye and add impact and drama to your home interiors. 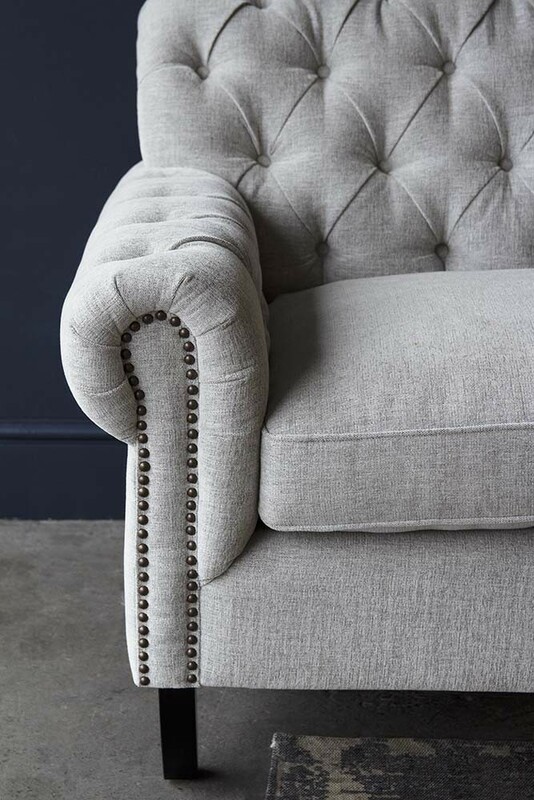 A totally unique traditional sofa the Soft Grey Modern Chesterfield Sofa is a wonderful twist on the traditional making it an eye-catching talking point that you, your family and house guests will love. A timeless classic, oozing sophistication and elegance - sip cocktails with your lover or loved ones in style!